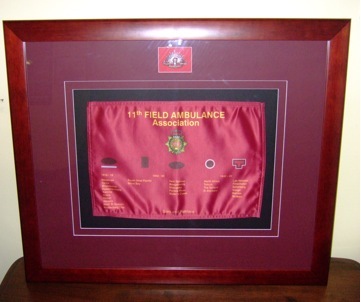 Here is an opportunity to have your own piece of memorabilia with a mini banner of 11 Field Ambulance. The Banner above is only a sample and is an idea that members could arrange. The frame was professionally produced at a cost of $150.00. 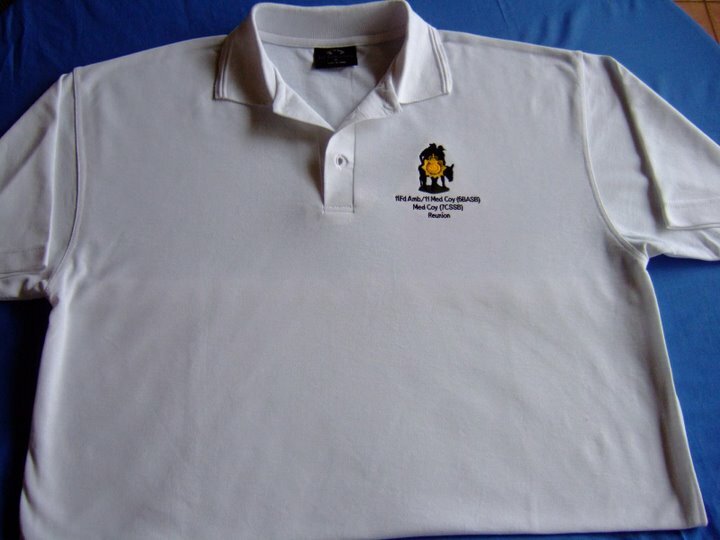 The Banner can be purchased for $65.00 To order just send an email to: Murray Morrison murray.morrison@defence.gov.au Phone: 07-33324719 Tim Stanley timothy.stanley@defence.gov.au Phone: 07-33324764 John Smith john.smith17@defence.gov.au Phone: 07-33324922. 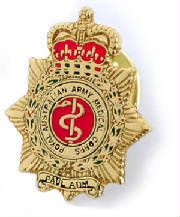 There is no other association that has its own collar badge. 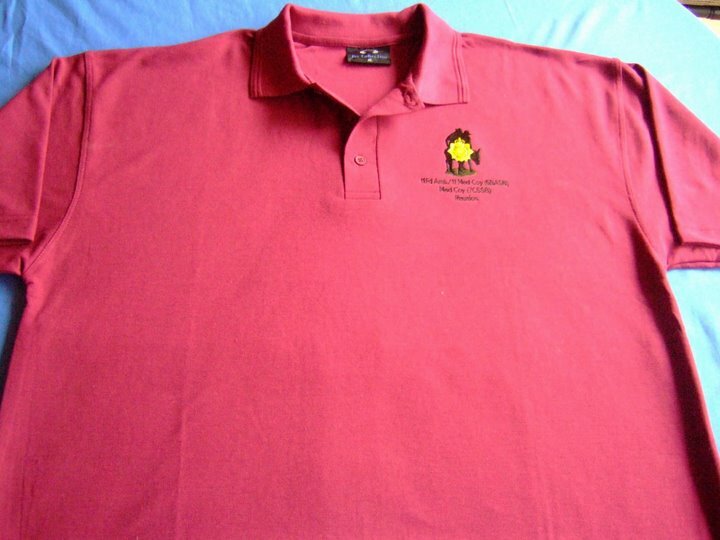 This is unique to our Association.